Young Thug’s On The Run is almost upon us, and the Super Slimey rapper has officially shared the project’s album cover and supporting players. Taking to Instagram to reveal the likely album cover, Thugger captioned the DIY photo with “While I’m down… “ON THE RVN.” Cryptic to be sure, but the featured guests are clearly worked into the project’s legal motif. 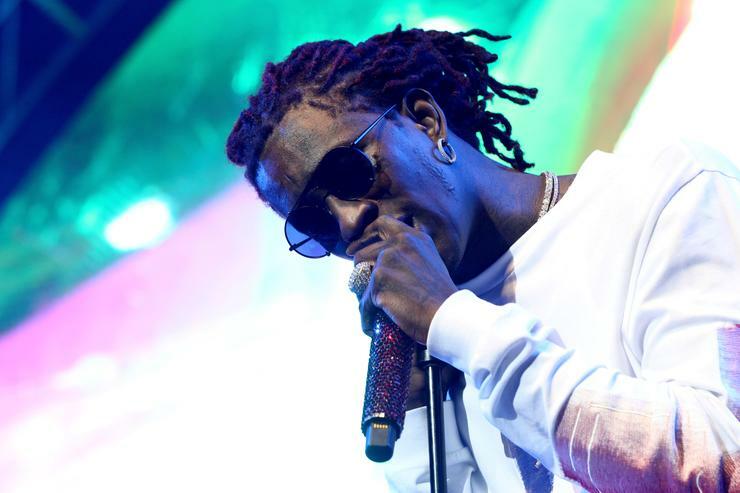 It seems as if Thugger will be joined by 6LACK, Elton John, and Jaden Smith for this go-around, a far cry from the compilation album Slime Language. Given the talent of Thugger’s chosen few, it seems likely that On The Run takes on a more melodic vibe than its predecessor. While Beautiful Thugger Girls found Country Billy dabbling in, well, country, the jury remains out on this endeavor. It should also be noted that Elton John previously remixed “Rocket Man” with Thug on vocals, leading us to speculate whether the pair will revisit their earlier collaboration.We can only hope it’s a return to form for the YSL capo, who previously earned near-unanimous critical acclaim for his pre-Jeffery run. In any case, On The Run is shaping up to be an exciting project, if only for the unconventional guests and surprise rollout alone. Stay tuned for the album, destined to arrive shortly.